Do you ever feel like you’re not good enough, smart enough, or valuable enough?Do the words you say to yourself, or hear from others, make you question your worth and purpose? I understand. Even with a great family, a successful career, and a thriving ministry, I still struggled with paralyzing self-doubt. And I was convinced very few people struggled as much as I did. In my book, I candidly, and sometimes humorously, shares my story of overcoming self-doubt with powerful Biblical Truths that transformed my life — and thousands of others! 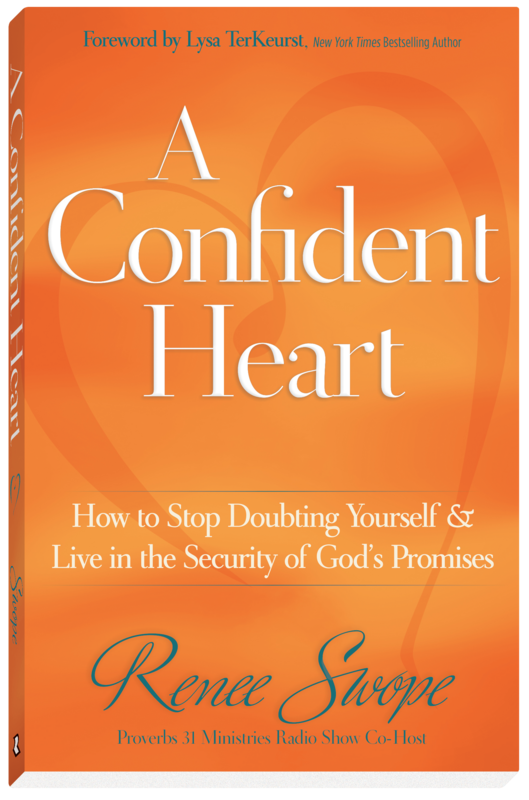 A Confident Heart is a Retailers Choice Award Winner, Amazon Best-Seller and Top 10 CBA Best-Seller. Available in six languages including English, Korean, Polish, Spanish, Portuguese and in English for India. Each chapter includes powerful scripture-based prayers, along with Bible study questions and chapter 12 includes a chart with 31 different “When I say… God says…” statements and scriptures to overcome our most common self-doubts.